The human use of nettles as a food source stretches back at least 4000 years, and likely much further back into prehistory than that. 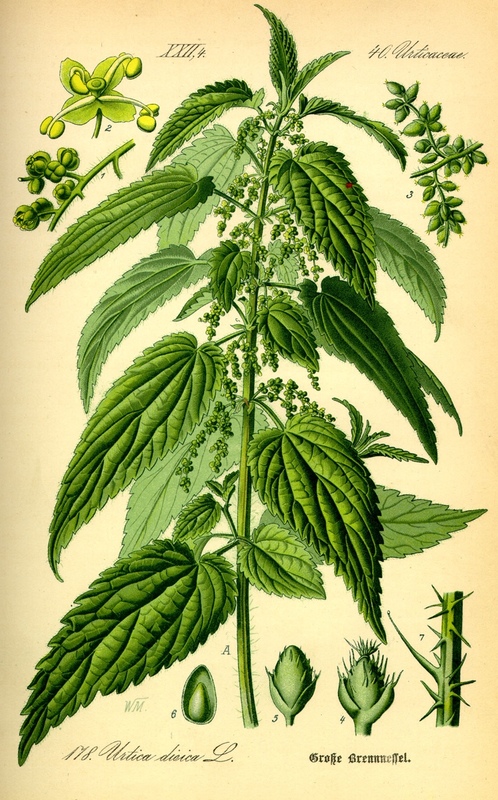 In modern times, nettles are commonly used as food in Northern and Eastern European countries. And have been well documented as a food source utilized by North Eastern American Indian tribes and Plains Indian tribes. They are occasionally used in cheese making and in beer making. They are also known to improve the glossiness of hair, farmers often add a handful or so of nettles to cattle-feed for this purpose. It’s also a proven treatment for arthritis, whipping the affected area with the ‘stinging’ hairs works to effectively increase local inflammation and provide pain relief. In books from the middle ages it was listed as a galactagogue, which is a substance that promotes lactation, though there has been no modern research done to confirm or disprove this. Nettle stems also contain a a very strong bast fiber that can be used to create very high-quality linens. Nettle cloth linens at least 3000 years were recently discovered in burial mounds located in modern-day Denmark. To prepare nettles for eating, you should first inactivate the ‘stinging’ hairs that they are covered in. This can be done two different ways, either by soaking the nettles in water, or by cooking. Because of the toughness of the stems it’s best to simply harvest the young ends and tops of the plant and its branches. The roots are also quite tasty, and commonly sold as a testosterone-supporting supplement, but require some work to adequately wash them. A good rule of thumb when looking for them is that they often grow in the same types of areas as blackberry bushes, they are often competing with each other in these types of areas. It’s recommended that you look for them a good distance from any roads or houses, and preferably in areas where you know that the spraying of toxic chemicals is illegal, such as in certain national parks. 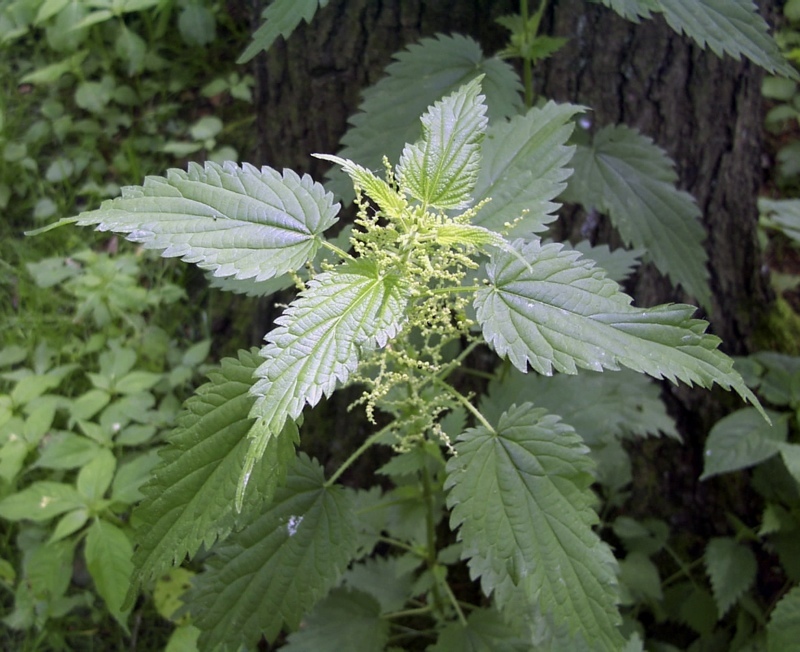 Nettles are a common weed, growing throughout Europe, North America, Asia, and northern Africa. They grow up to around 7 feet tall, and have a wiry sort of structure. They grow most commonly in areas that receive substantial rainfall. They are especially common in areas previously occupied by humans, because of their preference for phosphate and nitrogen-rich soils. Areas such as abandoned settlements, cemeteries, old farms, and any area of previous human habitation really. This entry was posted in Wild Foods and tagged Nettles, nettles food source, nettles high protein greens, nettles survival food, survival foods nettles, weeds edible, wild food sources. Bookmark the permalink. Great article! I have been around nettles my entire life (NE US) and I never knew they were edible. More of a nuisance than anything else. Can’t you also make teas with them? Yeah, the tea is quite good, imho. And supposed to be very good for the liver… among other things, I imagine.